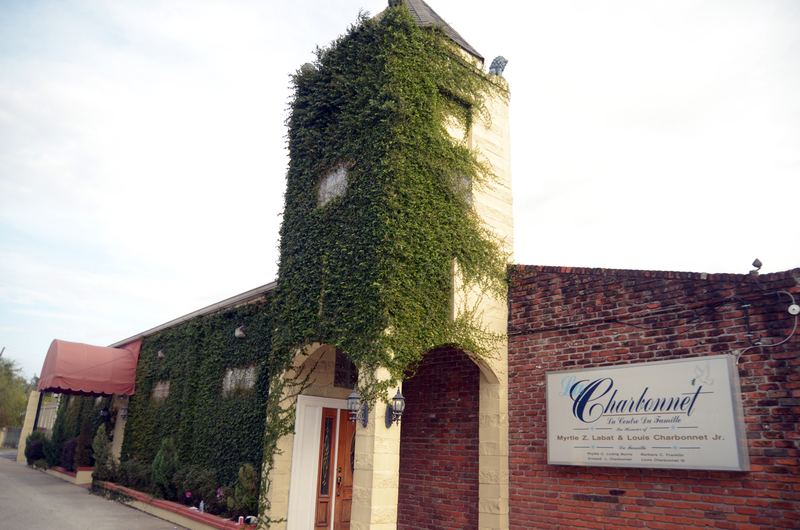 Charbonnet-Labat-Glapion Funeral Home has been a pillar of the Treme neighborhood for generations. Founded in 1883 by members of Myrtle Z. Labat’s family, it is now operated by Louis Charbonnet III. 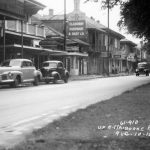 This facility was almost destroyed by fire in 1958, and flooded after the levee failures in 2005, but it was renovated each time and remains as vital as ever. Though urban renewal, years of disinvestment, and the flood have made living in Treme difficult for many African-American families, thousands still return here to celebrate traditional “homegoings” for loved ones who grew up in the area. 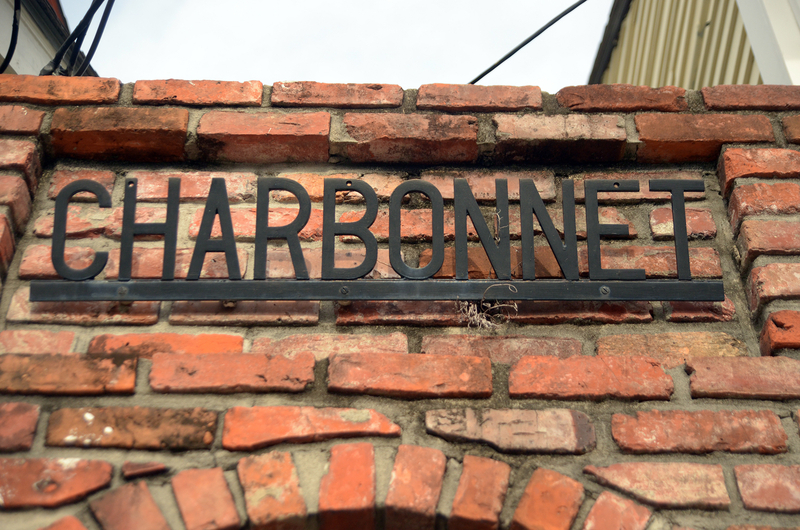 The Charbonnet legacy in Treme and in the music community runs deep. 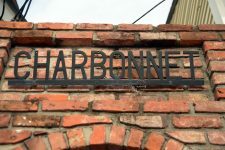 The Charbonnets were vocal opponents of the construction of the Interstate 10 overpass on Claiborne Avenue in the 1960s, which ultimately destroyed blocks of tree-lined green space. 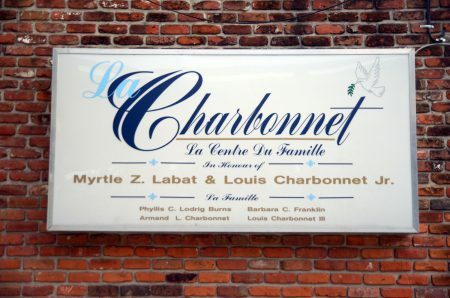 Louis Charbonnet III, the current head of the funeral home, is a former state representative. He’s an advocate for local culture who opens the doors to the Society of Inseparable Friends Hall for community meetings and parties. 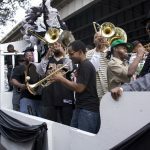 After a notorious incident in 2007 when New Orleans police officers aggressively disbanded a memorial for the tuba player Kerwin James, he helped broker an agreement between the NOPD and the brass-band community. The funeral home’s reception area has seen innumerable musical tributes to deceased artists, many with full, amplified bands. 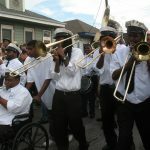 Bereaved musicians are known to come with their instruments in hand to play in honor of the departed. Along with spirituals, they often include songs the deceased was known for performing. 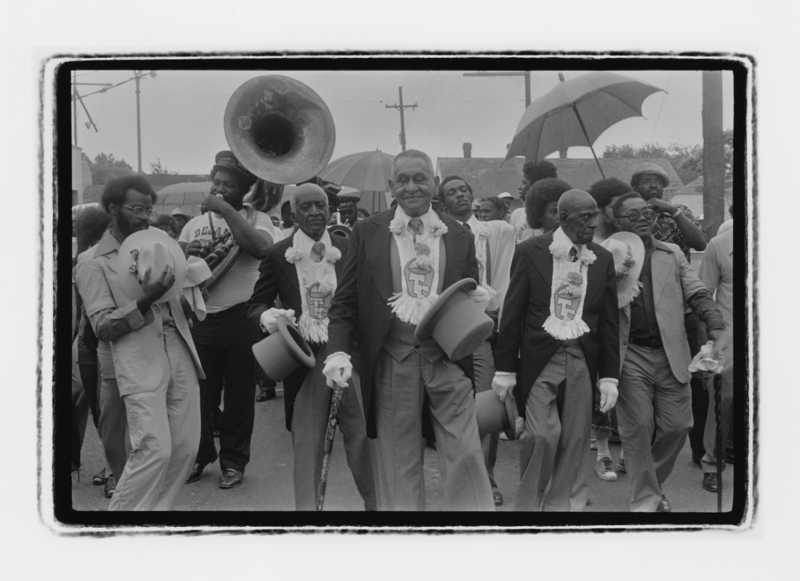 Mardi Gras Indians are mourned with the prayerful standard “Indian Red,” and processions including tambourines and other percussion instruments. Charbonnet’s funeral home maintains the staff and equipment necessary for traditional jazz funerals. This includes a horse-drawn hearse, which has glass sides to make the casket visible. 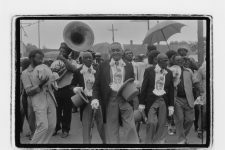 Legendary bandleaders like Ernest “Doc” Paulin and Harold “Duke” Dejan were feted this way, as were many others who wanted their passing observed in the traditional manner. Mr. Charbonnet added a new twist to the practice in 2012 when, at the wake for beloved bass drummer and vocalist “Uncle” Lionel Batiste, he stood the body of the deceased upright, in a suit, with a hat and a cane. The scene outside Charbonnet-Labat-Glapion Funeral Home for the 2012 funeral of beloved artist and bon vivant "Uncle" Lionel Batiste, from NewOrleansUnplugged. "Just A Closer Walk With Thee," a jazz funeral standard, from Glen David Andrews' live CD "Walking Through Heaven's Gate," recorded August 18th, 2008 and released January 19th, 2009 on Threadhead Records. From 2012: Sign on Charbonnet-Labat-Glapion Funeral Home, commonly called "Charbonnet"
From 2012: Sign in English and French outside Charbonnet-Labat-Glapion Funeral Home. From 2012: Jazz funeral procession through Treme for "Uncle" Lionel Batiste (former home of Anthony "Tuba Fats" Lacen at 1201 St. Philip visible at right). Wikimedia Commons. 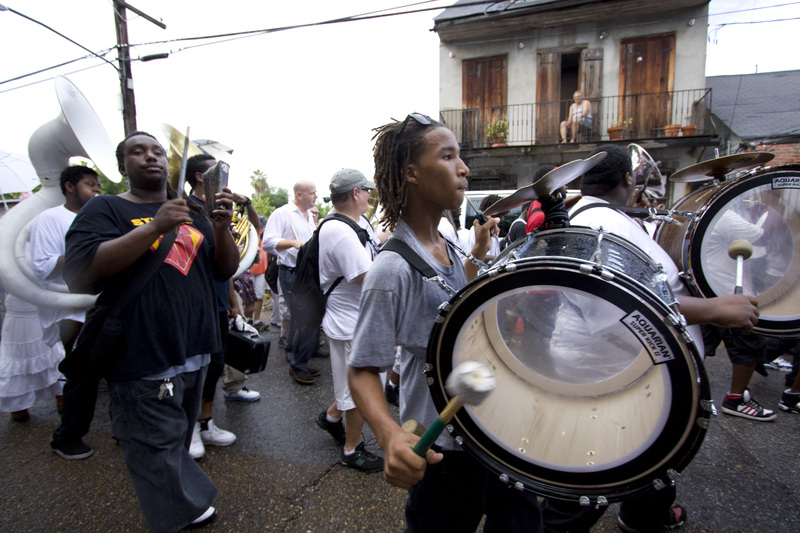 Photo by Dsb nola.